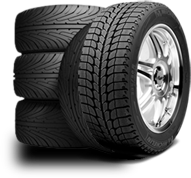 At K1 Tyres we are able to offer a huge range of car, van and 4X4 tyres with a choice of branded names, budget, high performance and part worn tyres. Whatever your budget we have the right tyres for you and our quoted prices include fitting, balancing, new valves and vat. Our tyre fitters are fully experienced and qualified. If requested we will be pleased to carry out a visual check to ensure that your tyres and brakes are roadworthy. Please call to check that we have your correct tyre size in stock. We can normally obtain any tyre within 24 hours if not in stock.